You might have expected some really corporate looking “team” page with maybe some fancy slogans or some inspirational message that make you feel nice, but that’s not what you will find here. In fact you will just find a bunch of normal hard working blue collar men and women that make this all possible. The people below have contributed to this website in some way.Ãƒâ€šÃ‚Â You can read more about each of the people below. 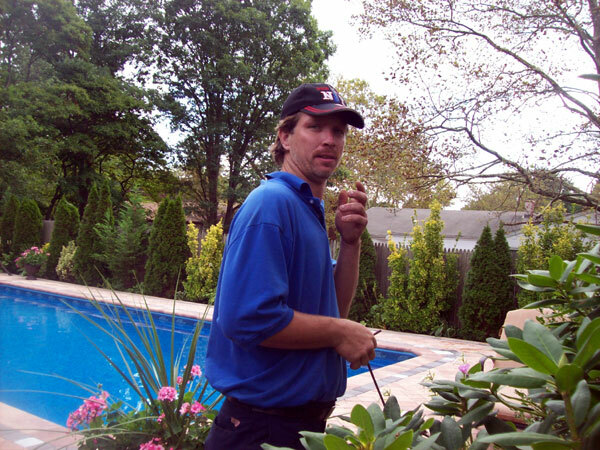 Joseph AKA “WeT HeadÃƒâ€šÃ‚Â has been working in the either swimming pool, plumbing, heating and pump field since 1992. 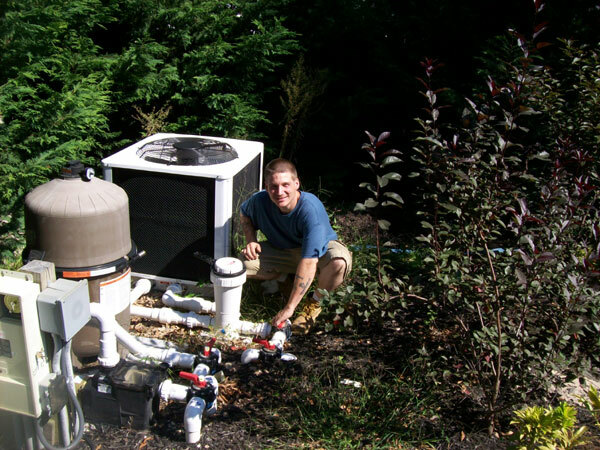 Here is a picture of him working on an in ground swimming pool system with a heat pump. 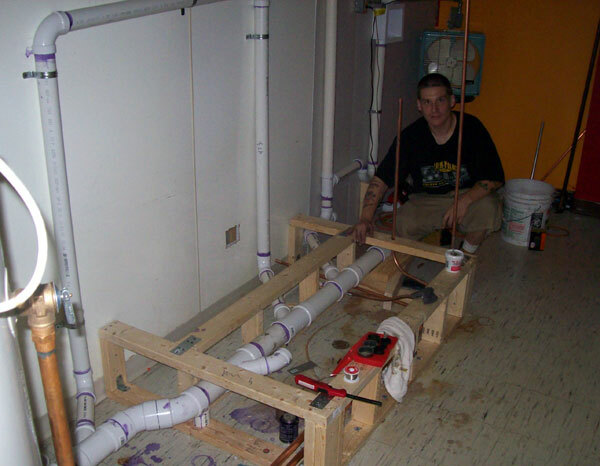 Joseph can be seen here doing some of his plumbing work and roughing in a bathroom. 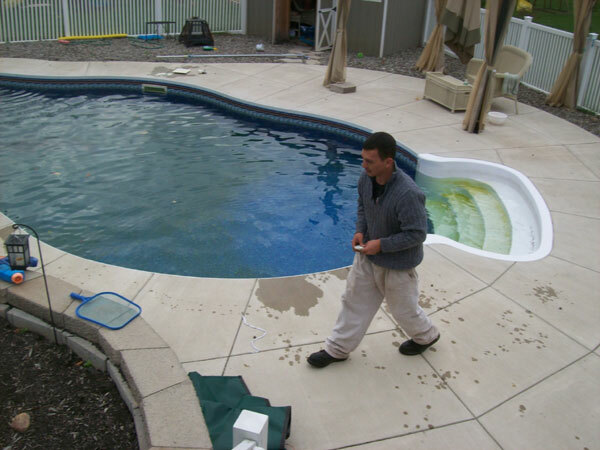 Richie can be seen below loosening a stuck loop lock anchor on a pool closing. Richie is a swimming pool mechanic that works with Joseph. 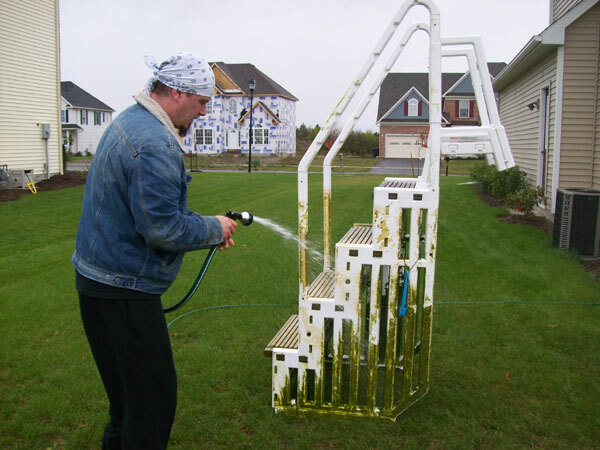 In this picture you can see Richie Cleaning off a super dirty set of swimming pool steps. 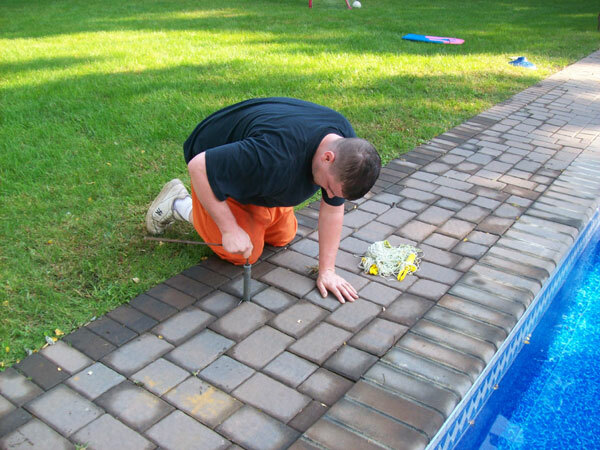 Dan has worked with Joseph doing pools for over 13 years. 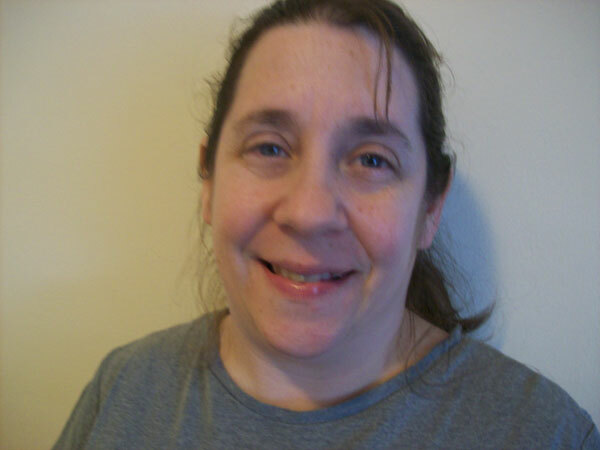 Stacey Writes product reviews and helps with content management. She is also Joseph’s Fiance. Matt has also worked with Joseph and Riche from time to time as a pool helper. My name is George and I am an account exec. at AdFlier. We help sites and mobile apps generate revenue by placing targeted/product specific ads complementing your content. I would like to discuss advertising opportunities available on your site and/or any other similar sites you may operate. Please shoot me over an email when you have a moment.. I bought a house with a pool and it is a Doughboy . It needs a new liner . Can you get me in touch with someone to replace it ? Brondell, a leader in health and wellness products, is known for blending technology and luxury design. Their products range from bathroom fixtures to kitchen appliances. We noticed your review of other bidet seats, but we’d appreciate the consideration of a review of the latest Swash 1400 Luxury Bidet Seat on your site. Let me know if you’d like to work together and share the Swash 1400 product with your followers. I’m happy to send additional assets to you as well. Do you have any questions I can answer for you in the meantime?